Definitely add sound generators. Morphagene and Plaits are great! You might want to think about a multi-mode filter and some envelope generators that are 4 or 5 stage. XAOC Zadar is neat, while Malekko Quad Envelope has sliders for hands on tweaking. You might want to add some reverb module in addition to Magneto. Also compare Magneto to Intellijel Rainmaker. Amazing, gonna check all that you mention. I appreciate your comments. Thank you! Plaits...yep. Two, if at all possible, plus maybe add some more very basic VCOs so that you can do a little detuning and fatten up the sound of those. Zadar...also very cool, plus Mutable's Stages can be used as a multisegment EG as well as a lot of other things. Consider swapping the Doepfer switched mult for this: https://www.modulargrid.net/e/ph-multiple-dual-channel-br ...having the LED indicators to show which routings are active for each switch is a huge plus. I'd drop the Function unless you already have it in hand, as it sort of replicates half of a Maths, which you have in there. 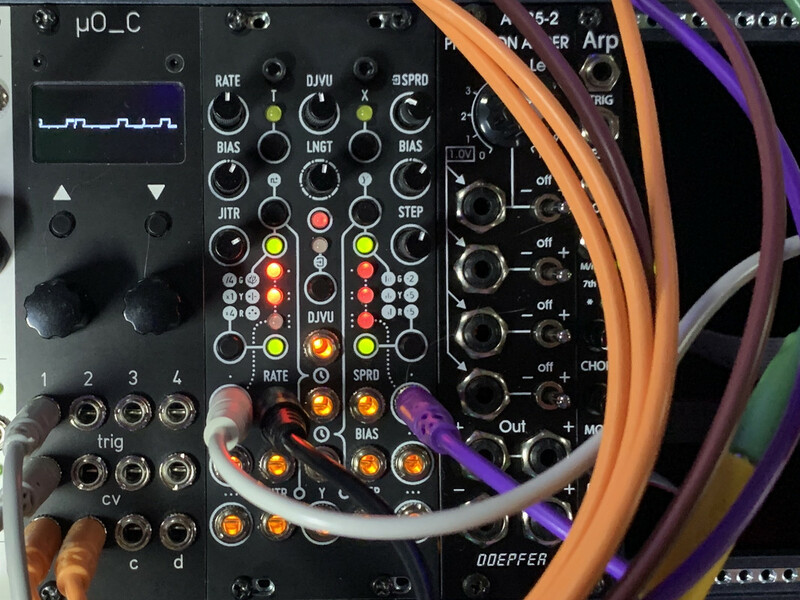 One thing you might want to look at would be some Boolean logic; with the multiple pulses coming off of the Pam's, you can make use of such things as AND and XOR gates to scramble up further rhythmic complexity. Hmm...also, some small CV mixer/attenuator like an Intellijel TriATT might come in handy in here for scaling/inverting modulation signals. And for a bang-for-your-buck multimode, nothing gets too much better than Tiptop's Forbidden Planet, a redux of the classic and pretty wild Steiner Synthacon VCF. It's small and cheap...and definitely effective. At 8 hp/$120, two would even be doable, and would give you a killer dual VCF setup. Stages is nice, but you get a maximum of two ADR envelopes. I just got a Zadar and it is a really neat one, albeit I’d still give a slight edge to the Malekko Heavy Industry Quad Envelope as there is no menu diving at all. There isn’t much in the Zadar either and the are rather similar in functionality, so both would be great. 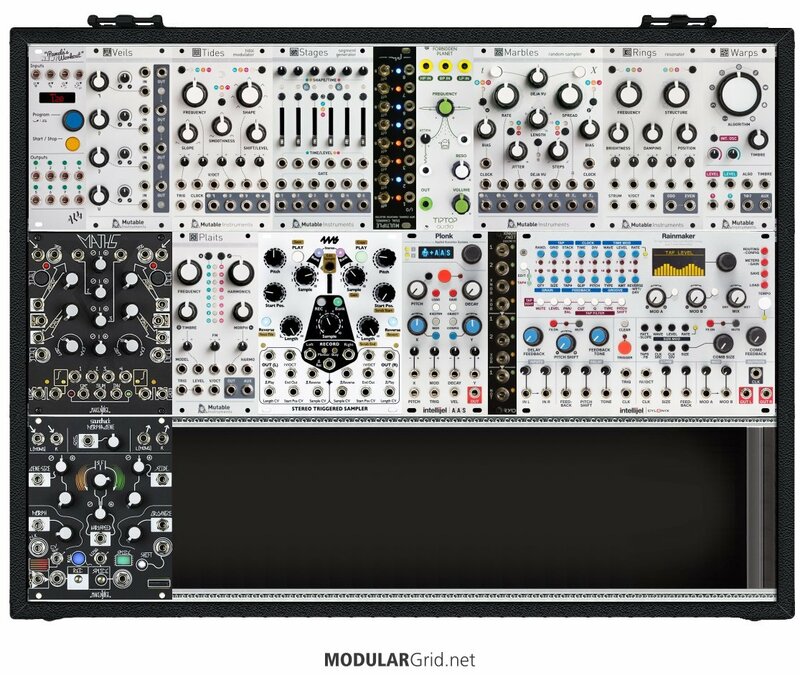 Regarding the mutable instruments modules: many of them are available as micro versions that can save tremendously in HP. Michigan Synth Works makes some nice ones, such as an 8HP version of Plaits, Forms. Antumbra makes beautiful DIY kits, such as Cara (a 10 HP version of Marbles). They are offered fully built on eBay. Mistergoop does some really fine work. These micro versions are great space savers, albeit the ergonomics of some of them may not work well in a performance setting where you plan to constantly tweak such a module. Especially the use of trim pots can make them less well suited for that task. I don’t see it as much of an issue for Plaits or Forms.